If this sounds familiar, that's because you may be a loyal InsideEVs reader. We initially wrote about the IPO a couple of weeks ago. Now, more details have emerged, including a launch date: September 12. The initial price should be made known the day before, but a filing with the US Securities and Exchange Commission (SEC) gives us a good idea of what to expect. 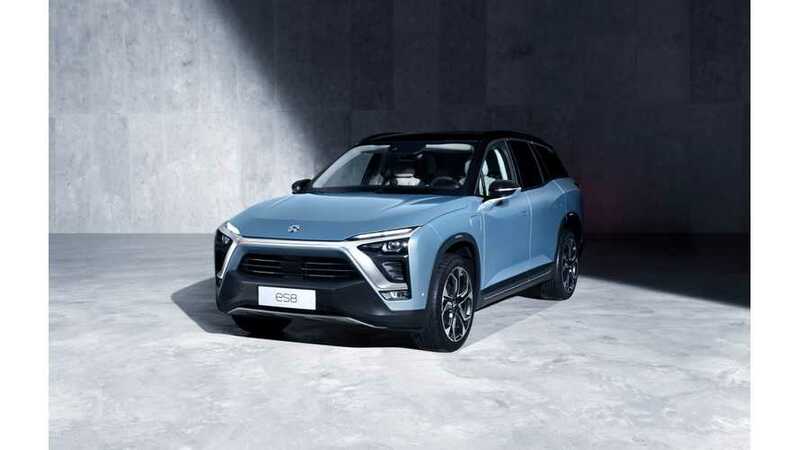 In it, Nio says it intends to offer 160 million shares for between $6.25 and $8.25 a slice on the New York Stock Exchange (NYSE). The low figure would be worth an even $1 billion, while the higher amount tops out at $1.32 billion. According to the South China Morning Post, NIO could exercise an "over-allotment option" which could net it a cool $1.5 billion. Though it currently only offers a single 7-passenger SUV, the ES8 — the SCMP says they've delivered 1,381 copies of the vehicle so far and have outstanding orders for an additional 15,700 examples— it has raised its profile by building the EP9 all-electric sportscar and then smashing the Nürburgring record with it in May of 2017. It was also a founding team in the Formula E racing series, though it was originally saddled with the NextEV moniker. The company was founded by William Bin Li who, if you watch the launch presentation of the ES8, comes across as quite charismatic. The startup automaker is using a 3-minute battery-swapping strategy in China, in addition to fast charging. For this writer, though, it is Nomi, an artificial intelligence (AI) system represented by an animated avatar on the dash, that really differentiates it from competitors and could lead the company to future success and revenue.